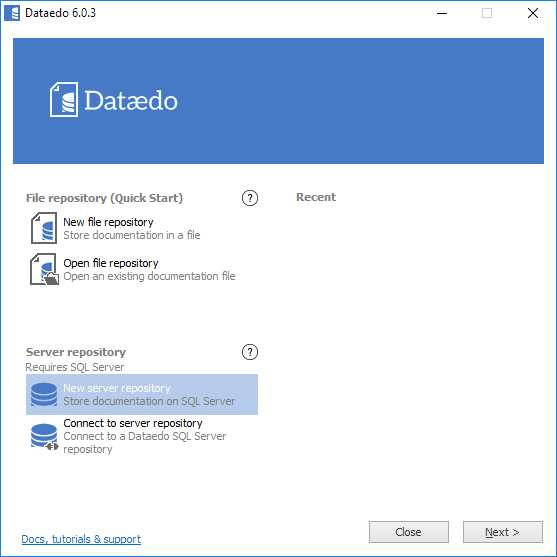 If you want to migrate your file repository to SQL Server, check this article instead. To create new server repository run Dataedo editor application. On the welcome screen choose Create repository. 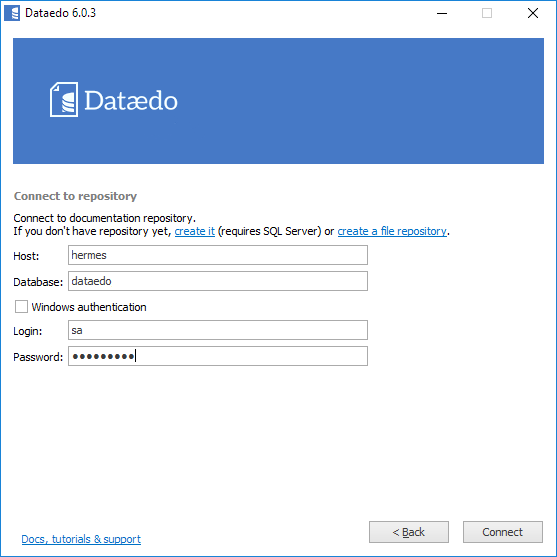 Now you need to provide connection details for your repository and log in as a user that has 'create any database' rights on the server (sysadmin role, for instance). 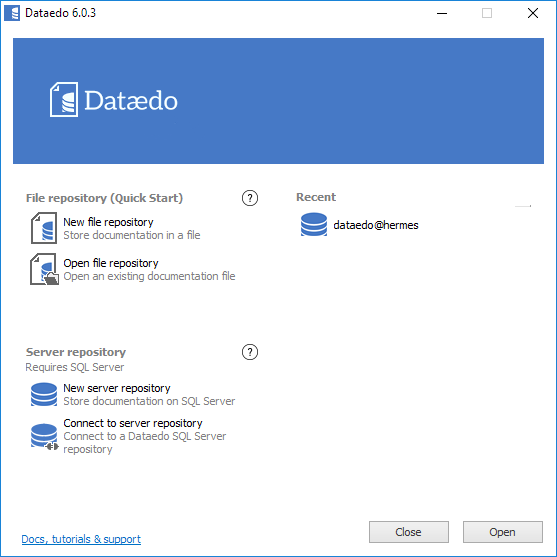 By default, repository database name is 'dataedo'. However, you might want to have it a different name. One reason for this might be that you have multiple repositories on your server. To change name click change button and update Database field. Next button will try to connect and create a new database. 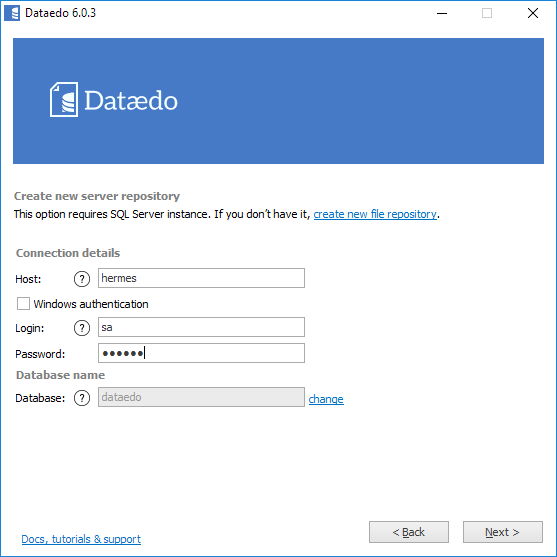 If your connection is established, your permissions sufficient and database with the name provided doesn't exist yet, Dataedo will create a new database and create necessary tables and data. Congratulations, your repository is created and you may start your work. Click Next button to connect to the repository. You may now log into your new repository. Connection details are pre-populated and if you want to connect as the same user just enter a password. If you want to connect and work as a different user, create the new user account with Administration Console. Connection to the repository will be saved in your recent connections list. To connect to it later, just double-click saved connection details and provide the password.